Replica vehicles constructed as film props utilizing modern diesel engines. Equipped with period style hard rubber tires non functioning gas lanterns for lights. Two of the four trucks are weathered and have been aged down to give a “used” look. Electric start and power steering make them easy to operate and reliable. In the early 1900s the British Army began considering the ways that motor transport could be used during a large-scale war. It was recognised that motor transport would enable the British Army to move troops very quickly. 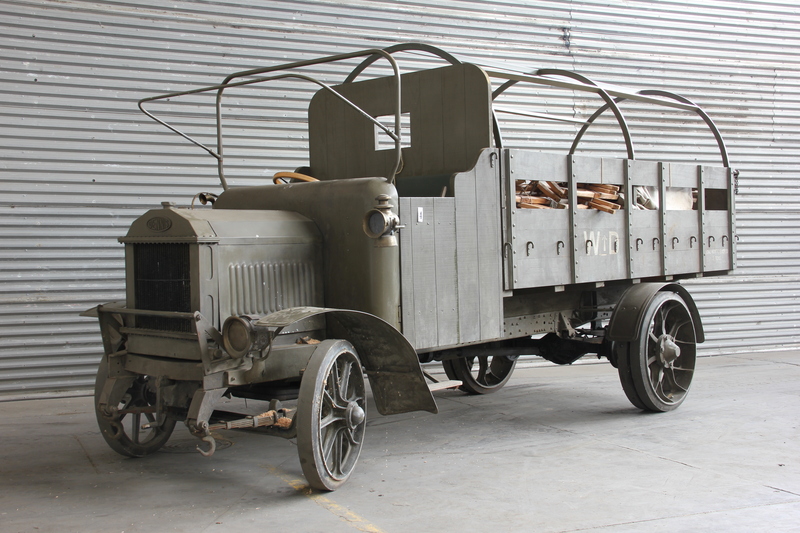 In 1911 the British Army announced its strategy for acquiring motor transport in an emergency. An annual fee of £15 was to be paid for each lorry registered with the British Army. By 1914 this fee had been increased to £110. 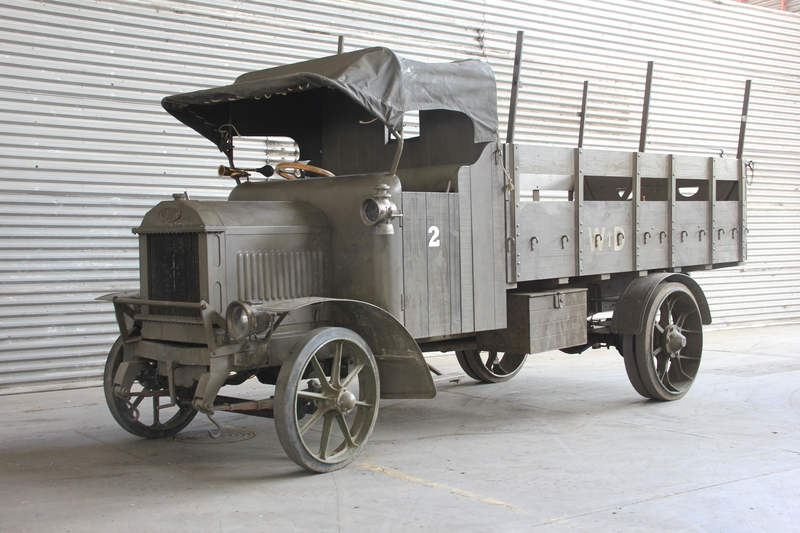 When war was declared in August 1914 a total of 1,200 lorries were acquired by the Army. One of the most successful lorries used by the British Army was the Dennis 3-Ton Lorry. The four-cylinder engine enabled the lorry to reach 55 mph. Even when loaded, it could climb gradients as steep as 1 in 6. 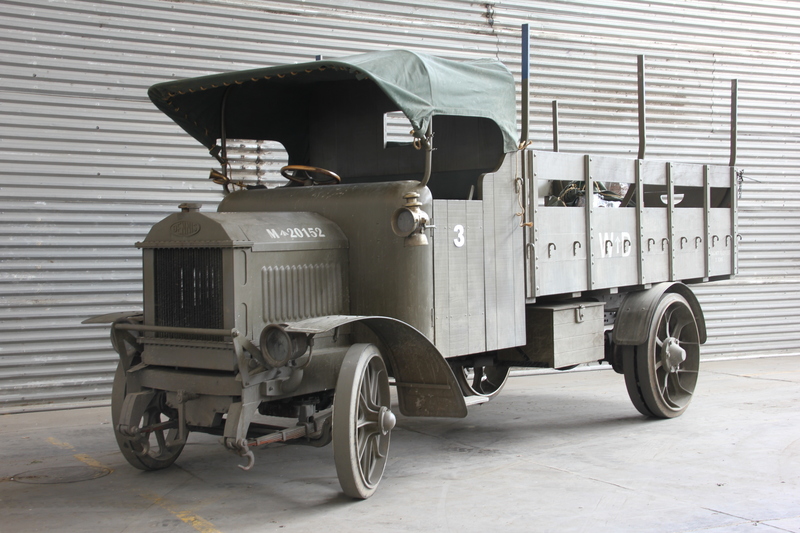 Over 7,000 Dennis 3-Ton lorries were built and used during the First World War.